Operating out of a tiny office on Madison Avenue in the early 1960s, a struggling company called Marvel Comics introduced a series of superhero characters with eye-catching bright costumes, smart banter, and compellingly human flaws that thrilled not just children but also pop artists, public intellectuals, and campus radicals. All of them interacted in the same epic universe, weaving a tapestry of stories that, taken together, would become the most elaborate fictional narrative in history and serve as a modern American mythology for millions of readers. 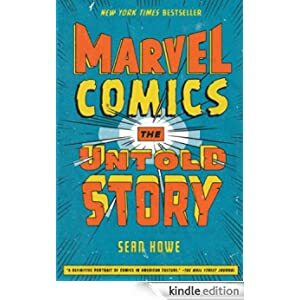 Incorporating more than one hundred original interviews with those who worked behind the scenes at Marvel over a seventy-year-span, Marvel Comics packs anecdotes and analysis into a gripping narrative of how a small group of people on the cusp of failure created one of the most dominant pop cultural forces in contemporary America. Buy this book for $1.99 today.